WHEN: Sunday September 1, 2019 7:30 p.m. Still looking for that perfect holiday gift for that someone special? How about a KISS…ticket, that is. The last chance for you to see KISS is here, and you don’t want to miss out on this gift. KISS, one of the most iconic bands to ever grace a stage is calling it a career after 45 years and thousands of shows around the world. But just walking away is never in the KISS style. 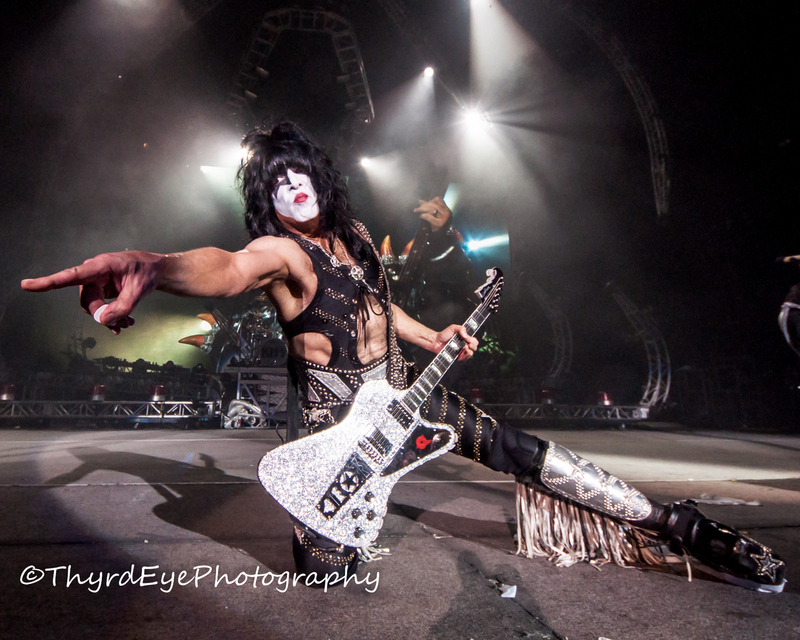 KISS performing at the Hollywood Casino Amphitheatre in Saint Louis Photo by Sean Derrick/Thyrd Eye Photography. The band will embark on a thoroughly exhausting year-long journey that already has 103 dates around the globe, with more expected. 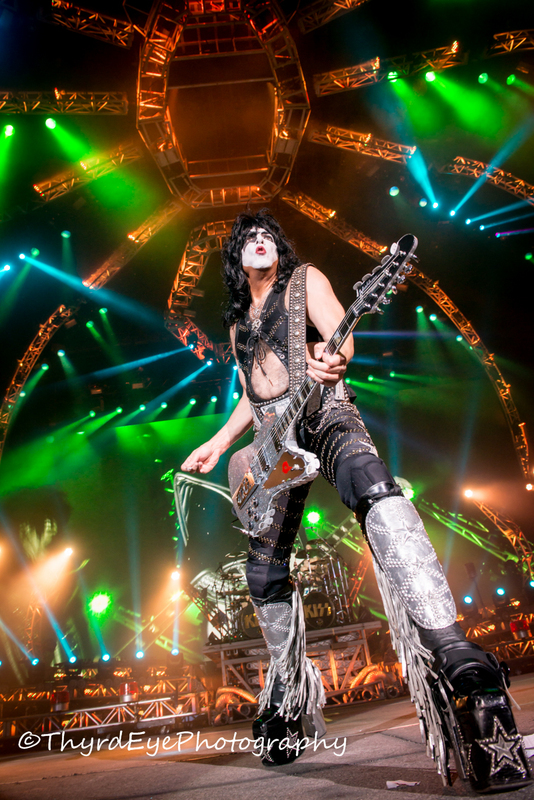 If you haven’t experienced a KISS show live you don’t know what you are missing. They really know how to put on a true rock and roll live show, and they do it consistently night after night. KISS hasn’t announced any Asian shows yet or where the massive final show will be, but you know there will be one. My guess is the Los Angeles Coliseum or Met Life Stadium in New York where their career began. Wherever it will be it will be nothing short of epic. 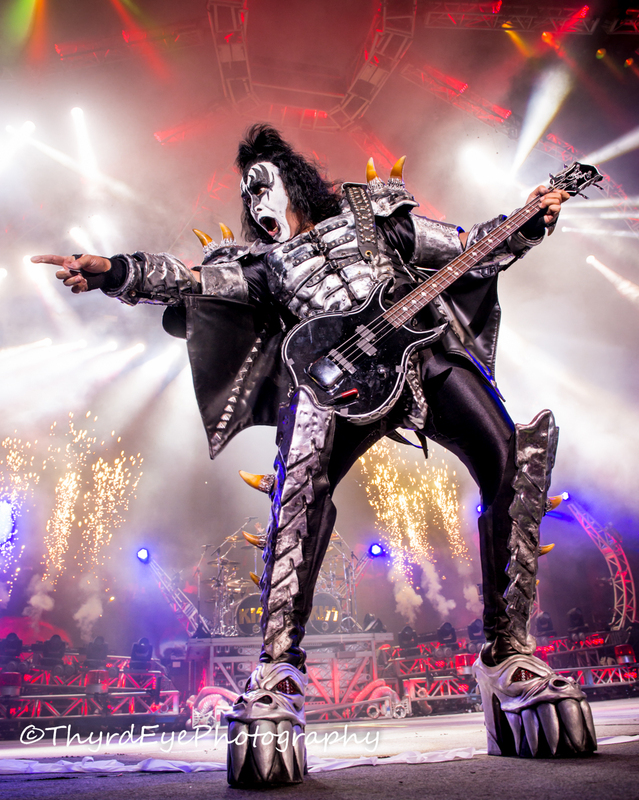 The Rock & Roll Hall of Famers who have sold more than 100 million albums worldwide have said this tour is devoted to the millions of KISS Army fans. “All that we have built and all that we have conquered over the past four decades could never have happened without the millions of people worldwide who’ve filled clubs, arenas and stadiums over those years. This will be the ultimate celebration for those who’ve seen us and a last chance for those who haven’t. 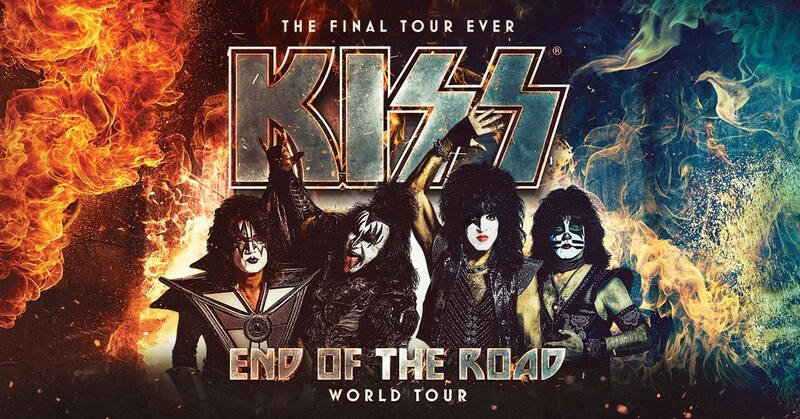 KISS Army, we’re saying goodbye on our final tour with our biggest show yet and we’ll go out the same way we came in… Unapologetic and Unstoppable,” said KISS in their press release. Tickets are on sale now for the Saint Louis show on September 1 at the Hollywood Casino Amphitheatre box office, or through livenation.com or Ticketmaster online here. Or you can do it the old fashioned way and call in at 800-745-3000. Hurry, because you won’t get to see them next time. Still not convinced? 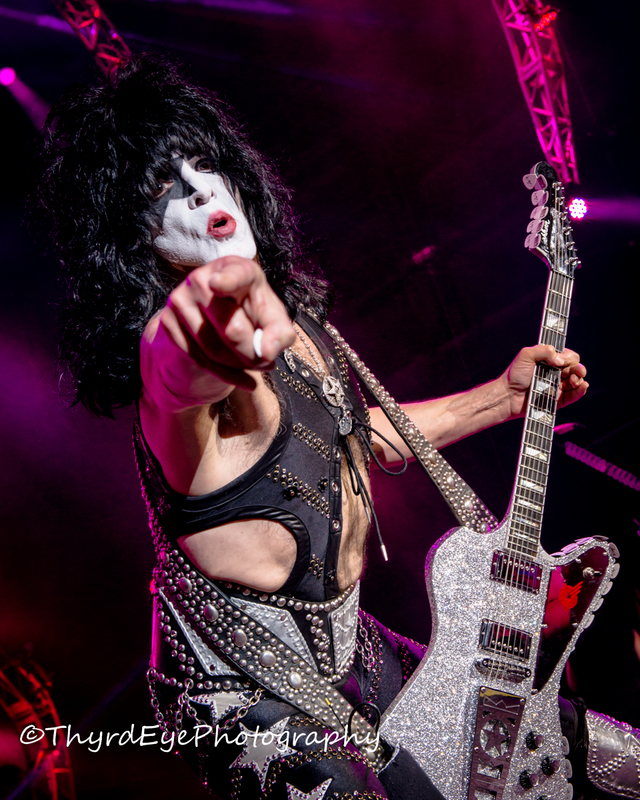 Check out the gallery of photos, after the tour dates below, from past KISS shows here to help change your mind.